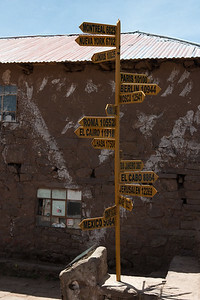 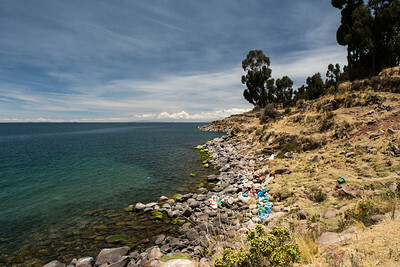 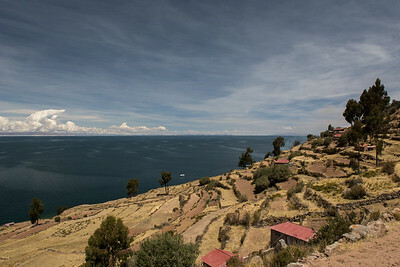 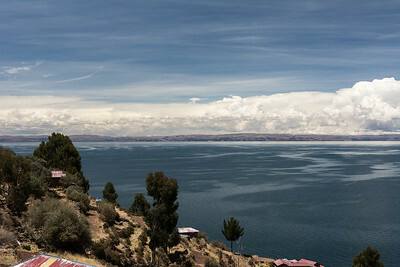 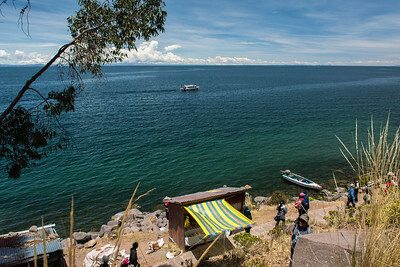 Taquille Island, situated beyond the Bay of Puno, is of Quechua origin. 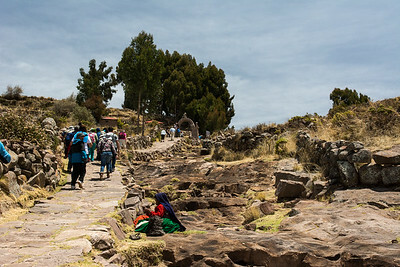 They follow the Inca Creed - do not steal, do not be idle, do not lie. 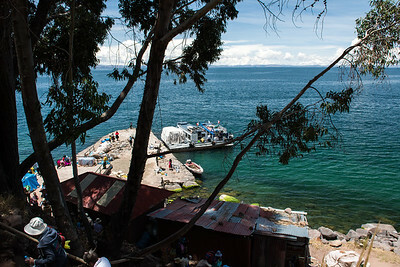 The only access to Taquille is by boat. 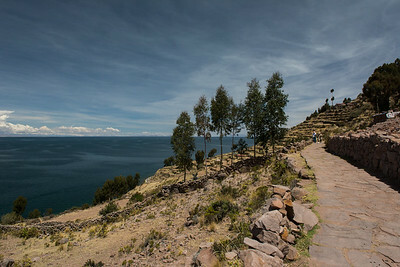 With no cars, no donkeys and no llamas all supplies are carried on their backs up 500+ steps from the jetty to the hilltop village. 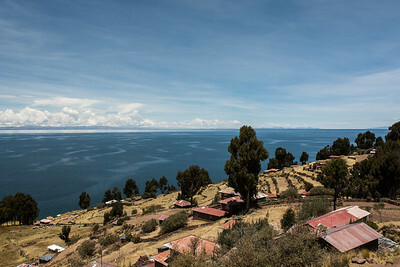 Taquile, Lake Titicaca - Peru. 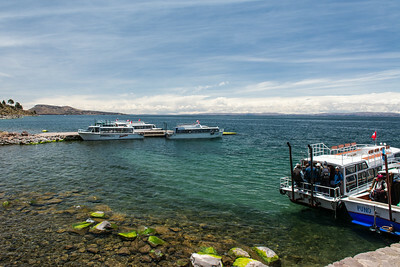 A 3+ hour boat ride from Puno. 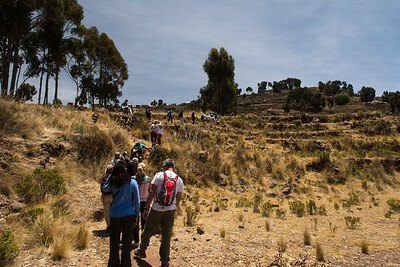 Heading up to the Central Plaza. 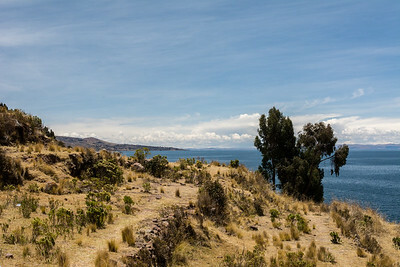 A long stone pathway wraps itself around the island. 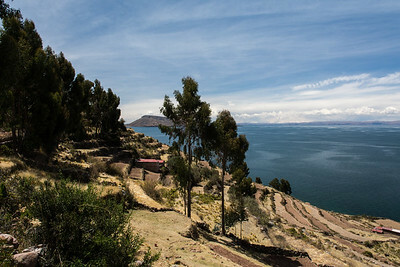 Taquile, Lake Titicaca - Peru. 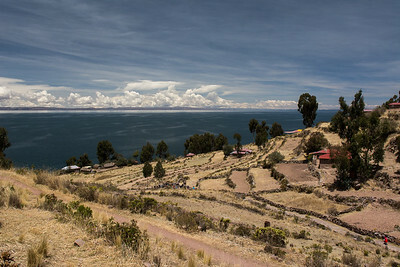 Overlooking farm land out to Lake Titicaca. 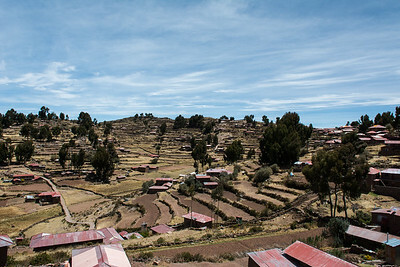 Farming and textiles are main sources of income. 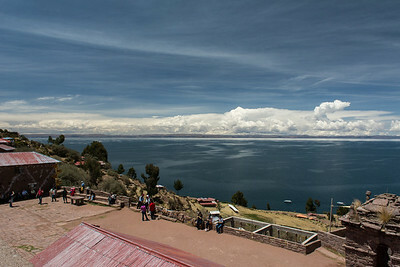 Taquile, Lake Titicaca - Peru. 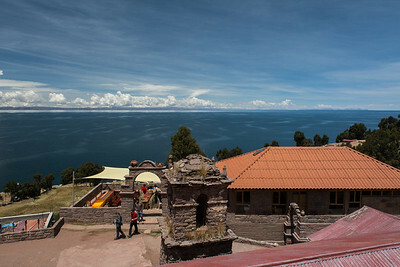 Church bell tower and restaurant. 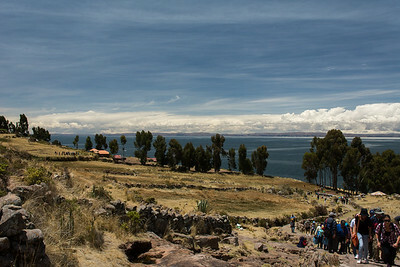 View over the Town Square. 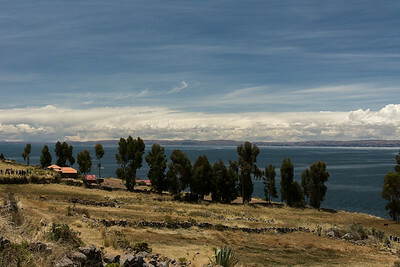 Farming as far as the eye can see. 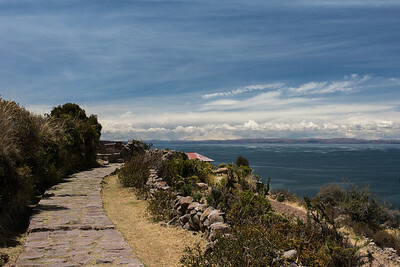 Stone pathway encircles the island. 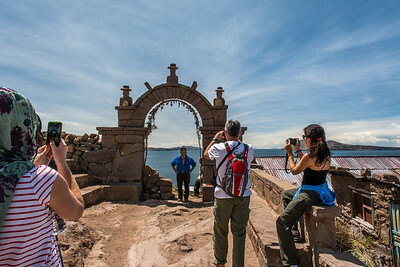 Stone archway remaining from Incan times. 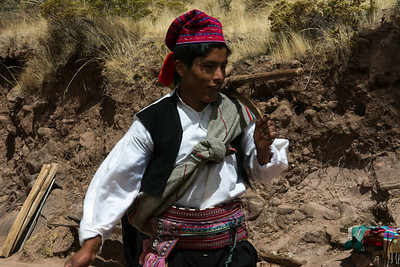 Men wear embroidered woven waistbands and wool caps. 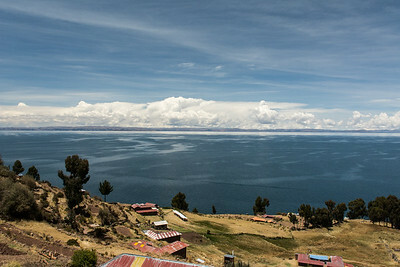 Taquile, Lake Titicaca - Peru. 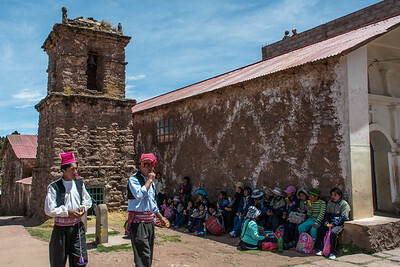 Men wear embroidered woven waistbands and wool caps.